Long layered hair looks beautiful when left open but if you are going for a party or a special occasion it is best you use some of the beautiful accessories available in the market today. They not only make your hair look good but also add a calm and serene beauty to your face or can even jazz up the entire look. Hair accessories for long hair can rock your look, add glamour to your ensemble or simply add versatility to your persona. Let us discover some hair accessories for long hair that can instantly lift up your style statement. There are lots of embellished hair bands available in the markets today in different materials, colours and patterns. 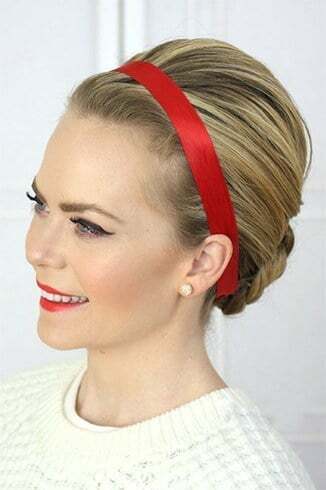 These hair bands can make even the simplest of haircuts look good. Hair bands go really well with layered cuts. For formal function and weddings you can wear hair bands adorned with diamond and pearls. Make sure that you buy a headband complementing the width of you head else wearing it for prolonged hours can give you serious headaches. 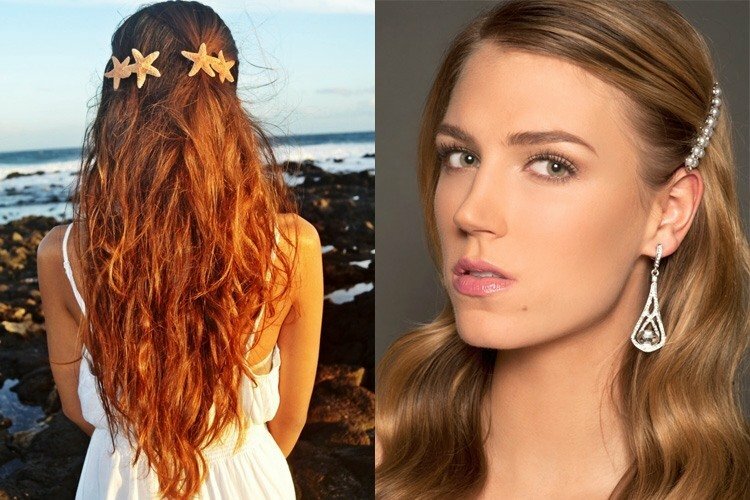 Look élan and stylish with these hair accessories for long hair. Barretts made of wood or plastic in variety of shapes can be used to keep your long layered hair in place. They come in various shapes and forms and can be matched with outfits to look stylish and up to date. These accessories for long hair are functional yet attractive. These are usually worn on special occasions and add a certain bling to your hairstyle. 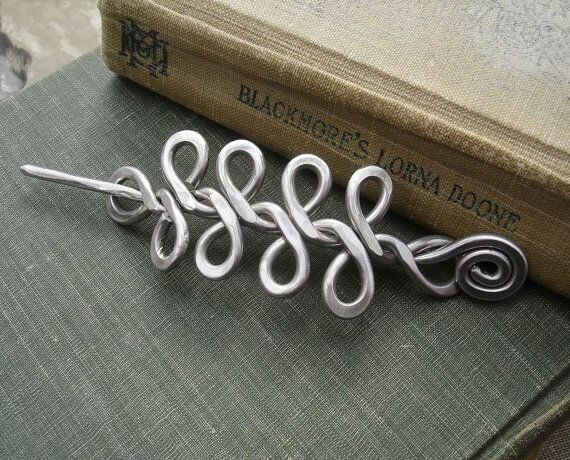 These brooches are usually worn on long layered hair to keep them from falling into the face every now and then. 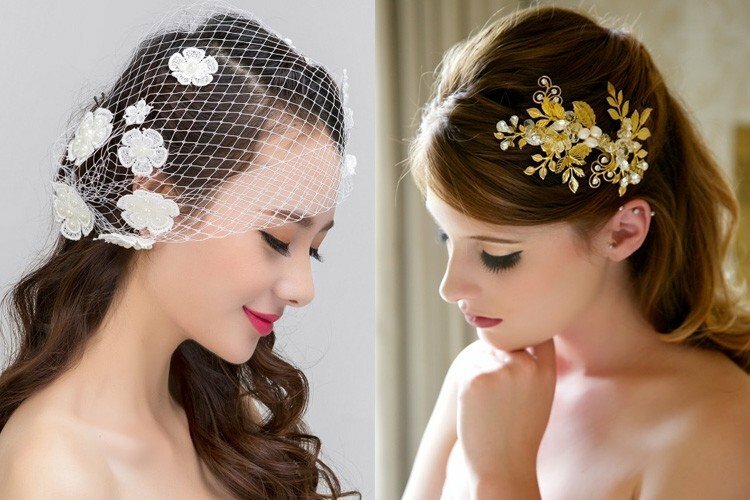 These wedding hair accessories for long hair make you look elegant and add a sparkle to appearance. Even adding them to a bun or a plain braid can make them look stylish and beautiful. 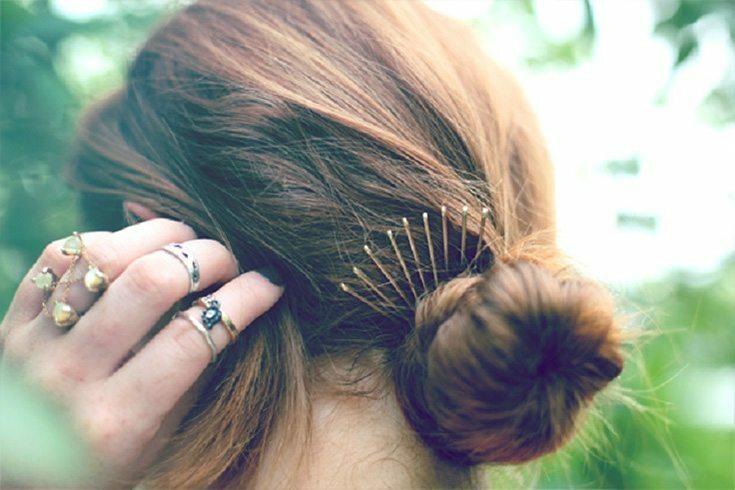 More practical than pretty, the bobby pin is a saviour for any girl! It is the perfect way to keep in place any escaping hair and make you look neat. The great thing is you can buy bobby pins to match your hair colour, so that they can discreetly hold up a hair style. Use them as part of your hairstyle’s accessories by getting a bobby pin with a jewel or pearls on it, or get patterned ones. Loose ribbons for any type of hairstyle gives an elegant twist to hairstyle. A simple ribbon can be used to tie it around a bun for any occasion, plait it through your hair or simply wrap it around like a hair band. 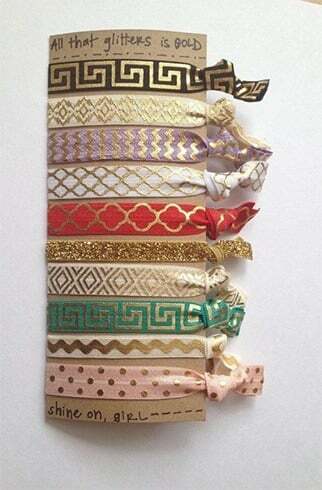 The greatest thing is that there are lots of ribbons on the market in all shapes, sizes, colours and patterns. 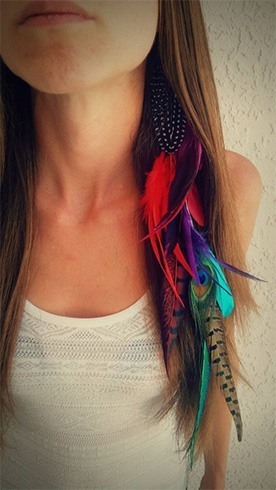 These accessories for long hair can even be custom made to match your dress or the outfit you are wearing to any party. You can use polka dotted hair ties or lace or any other material you can think of that will match your dress. Tie it around your head and get a cool look. It is a great accessory for long layered hair as it helps to keep hair from falling on face, adds to the fashion quotient and still keeps the layers hairstyle look great. Hair fastener metallic accessories are versatile and come in lots of styles and colours. They suit all types of hair styles as well as most face shapes. Easy to use, functional and help to keep layered hair in place. 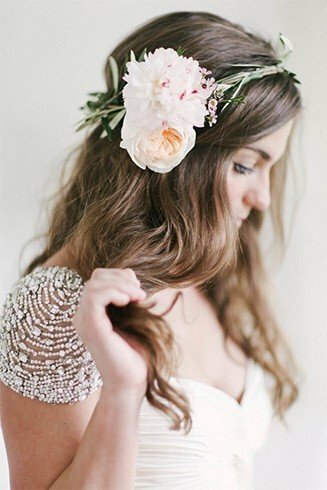 Flowers have been used as hair accessories since centuries and are still used by many cultures across the world to accessorize their hair for special occasions. They not only make one look pretty but also help hair look beautiful. Weather you use roses or any other flower, it can enhance the beauty of your hair and make you look beautiful. Add volume to your hair along with enhancing its style quotient with long curly hair extensions or coloured ones. Use the clip-in versions to instantly glam up your hairdo. Apart from making your hair look fuller they can also increase the length, jazz up your hairstyle or simply add some streaks of highlight matching your ensemble. Hair accessories add that something extra for a special occasion. 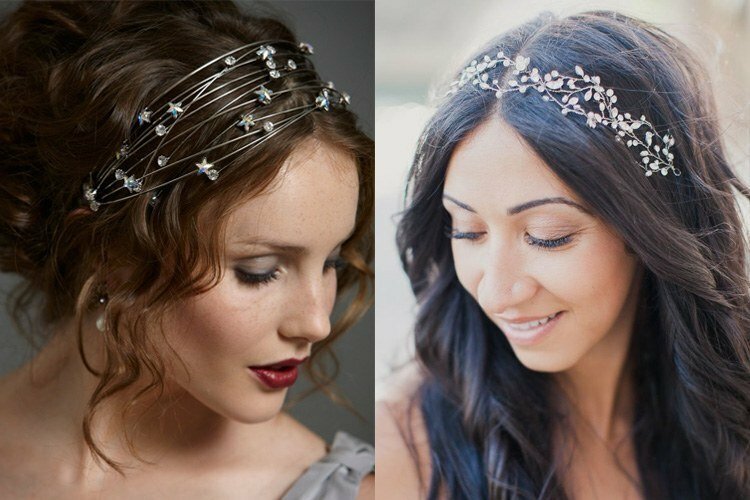 When it comes to picking the best hair accessories for your layered hair, it is a matter of preference. Think about the outfit and occasion you want to match it with. What would suit your hair colour and make your hair style seem unique and awesome. Be it a brooch or a hair tie, select things which can pep things up and add some jazz to your ensemble.